Reach 92% of Area Residents with 97.9 WHAV FM. Click the image to learn how to affordably reach new customers. Would it surprise you to know radio still reaches more than 90 percent of people in every age group, every week? 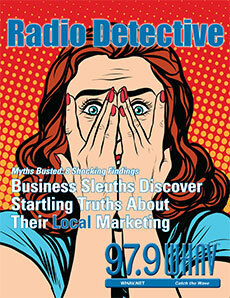 It’s a fact, and 97.9 WHAV FM’s target audience averages 92 percent. While other media are cutting back, area residents turn to WHAV for local news, information and entertainment they cannot find elsewhere. Add what has been called the “Halo Effect” of public radio, and listeners find business messages more credible and trustworthy than other forms of advertising. What’s more, when you make a traditional advertising buy, chances are you are buying more territory than you need—and paying more than you should. Newspapers, cable television and others charge for their extraordinarily large market areas. If you need only to reach consumers or other businesses closer to home—and want your ad budget to reflect that—WHAV is the only choice. For a no-obligation assessment about how WHAV can help your business reach more people than all other local media combined, call 978-374-1900, or complete the form below. More people receive their local news from WHAV than from all other sources combined. To learn more, call (978) 374-1900, ext. 111, or use the handy form below.